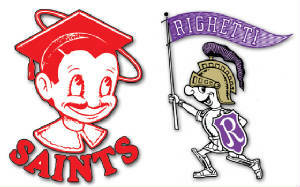 Welcome to the Santa Maria/Righetti Class of 1964 web site! Introduction of our reunion committee members and how to contact them. Information on our 50th year reunion held August 22 - 24, 2014 at the Santa Maria Inn, Elks Lodge and the Radisson Hotel in Santa Maria. Information on future reunions will be posted when plans have been made. A list of classmates who register for one or more of the 3-Day reunion events. Committees needed to make our next reunion a success. List of classmates we are unable to contact. Please take a look at the list and provide us with mailing/email addresses for these missing classmates. Memorial Page of classmates who have passed on. Photos taken at the 45th reunion.